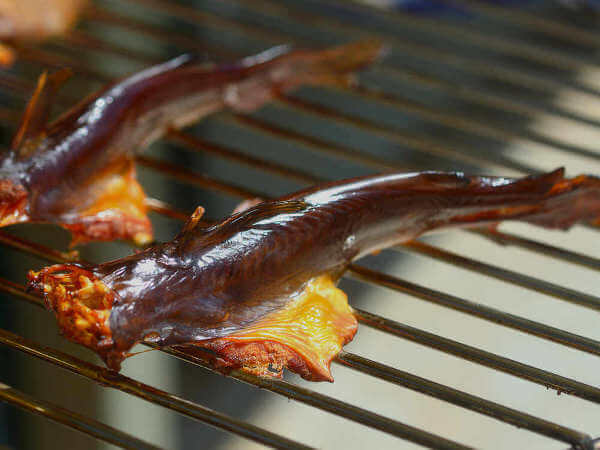 Quick brined and smoked, this easy smoked catfish recipe lets the flavor of the fish shine. There are no added flavors, other than salt and pepper, that get in the way of the pure taste of this simply smoked catfish. You can make this recipe in just a couple of hours - start at 3:00PM and you'll have great smoked fish for supper. This makes enough brine for 2 pounds of catfish fillets or smaller, whole cats. Stir until salt is completely dissolved. Put fillets in a plastic freezer bag, pour in the brine, and refrigerate for one hour. Preheat your smoker to 225 degrees, or set up your grill for smoking. Time things so it's ready to smoke the fish after its hour of brining is up. Alder creates a nice, light smoke flavor, and is good for this recipe if you have some. If not, use what you have. One foil packet of smoke wood will be enough. 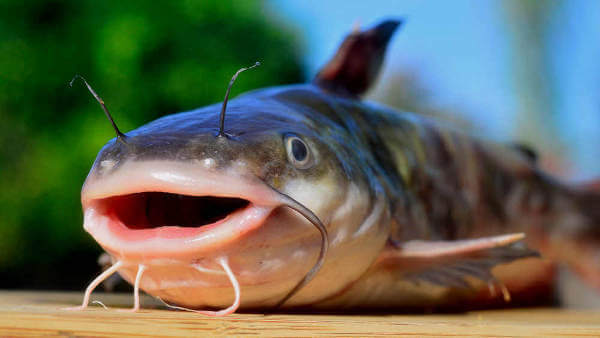 Remove the catfish from the brine and give a quick rinse. Pat dry, then season both sides of each fillet with coarse ground black pepper, freshly ground. Press the pepper into the fish so there's less chance of it falling off as it smokes. Smoke the catfish for 45 to 60 minutes, or until the flesh can be flaked with a fork. Serve the smoked catfish as an entree' with your meal, or just eat 'em along with a cold brew or two.